Well, at least one pair of eyes. It looks to me as if he was almost got hit in the head. Thanks John… the pitch was “a little high”. Thanks for pointing our your daughter. I hadn’t notice previously. I wish I could get my 8 year old daughter interested in baseball as well! 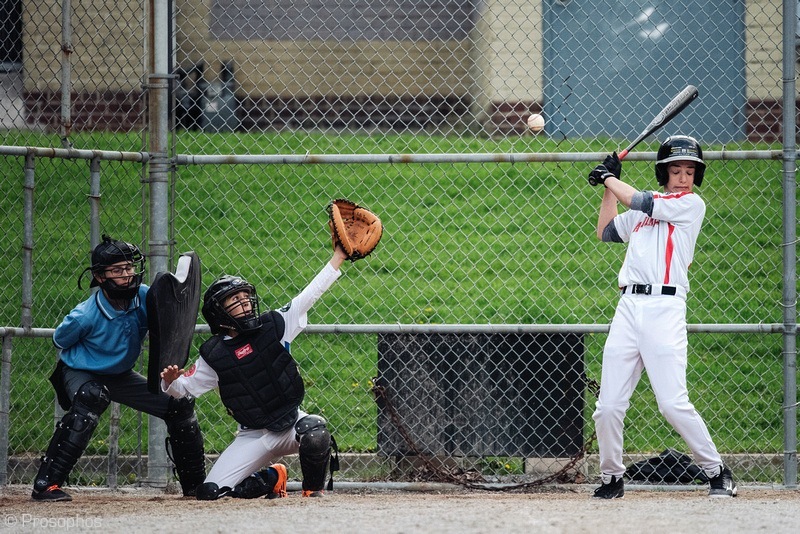 I was definitely reminded of the Bob Uecker line from “Major League” when I saw this… a tough one for sure to get a glove on as catcher, tough also to capture the decisive moment intact. Haha, frame that one for his mum! !